No pictures of kitties today, but instead, a pic of a treat I made for them in honor of July 4th. 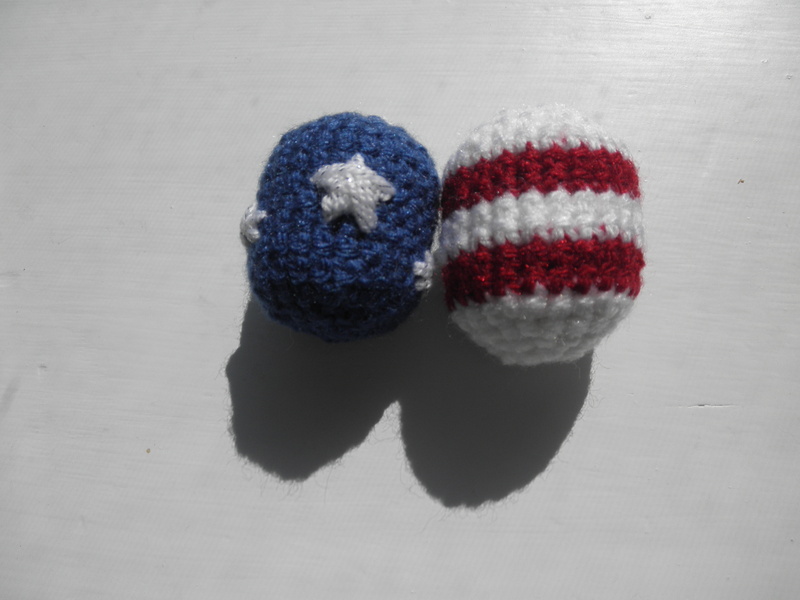 Patriotic catnip balls! 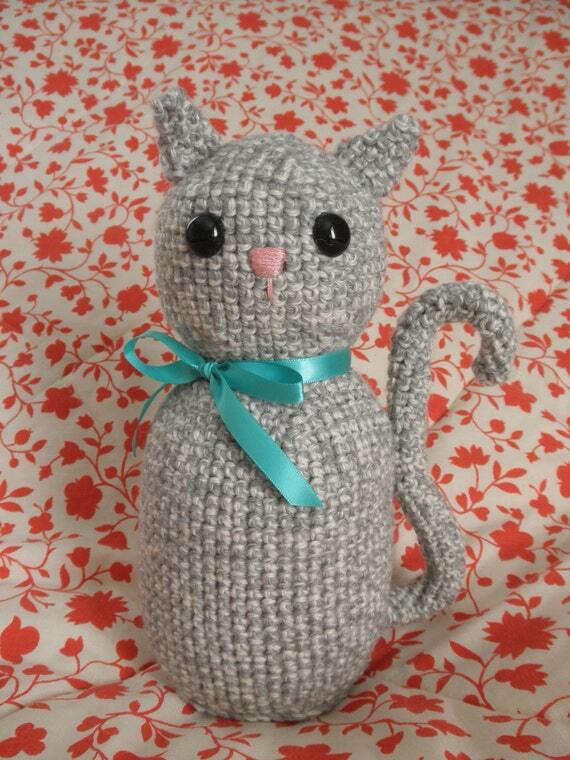 I think what I love most about making these (and I rarely make them for my own cats, mostly just my Etsy customers) is that you can use all those tiny amounts of leftover yarn because these really don’t take much at all. For a limited time, I’ll be selling these as a custom order for just $5.00 and free shipping! Check out my Etsy shop to order yours today. Hope everyone had a fun and safe July 4th!! !